Categories: CD-Distribution, DISTRIBUTION, DISTRO STORE. Tags: Heavy Metal, Roxx Productions, Thrash Metal. 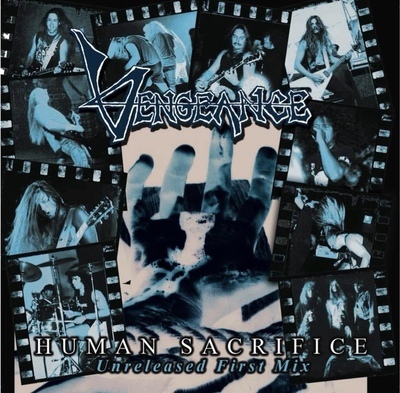 Limited Edition 30th Anniversary CD pressing of Human Sacrifice like you have never heard it before. You are about to get a listen to one of the very first previously unreleased mixes of the album! Here is what Glen Mancaruso had to say about this release… “Our original goal for the record was for it to sound like you were standing there in the room with us, just raw and heavy, nothing over produced and no reverb to muddy things up.” You can read the entire write up from Glen in the official liner notes of this release.